I've never really liked the question, "What are your hobbies?" It's pretty embarrassing when you're at a job interview and they ask what you like to do for fun, and all you can say is, "I like to shop." Over the past year, I've tried a variety of hobbies from crocheting to watercoloring to brush lettering to blogging. While I enjoyed brush lettering, I found that it was just more challenging than I had thought it would be, and I didn't really keep up my practicing. 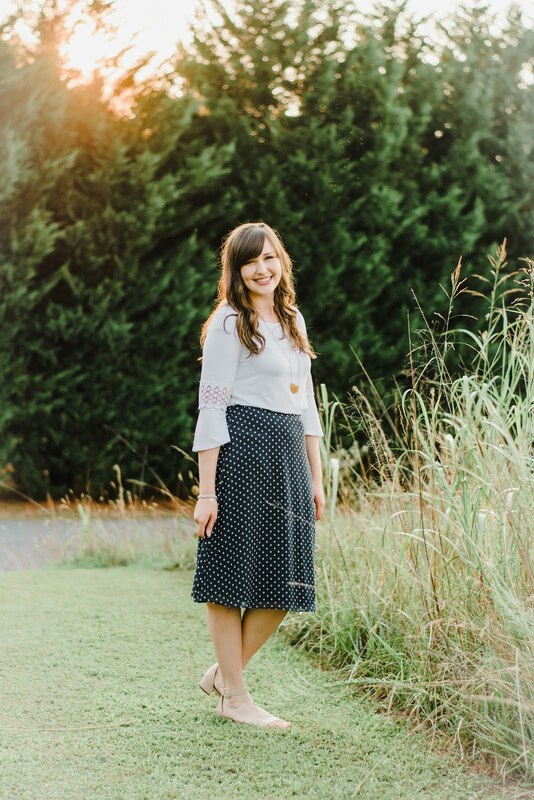 Everything I knew, I had taught myself through websites and youtube videos, so when my friend Ashley of Third Floor North Photography told me about a brush lettering basics course in our area, I was excited! I wanted to learn proper techniques from a real teacher and potentially pursue this skill further. If you've never heard of SkillPop, you should check it out and see if they offer courses in your area. From what I could tell on their website, they have classes in Charlotte, Raleigh, and Greenville. SkillPop's concept is that they are essentially pop-up skill classes in your area. The classes are pretty inexpensive, and I love the variety of subjects they offer. In Greenville, they have upcoming classes in screen-printing, coffee tastings, and hand-dyeing textiles! 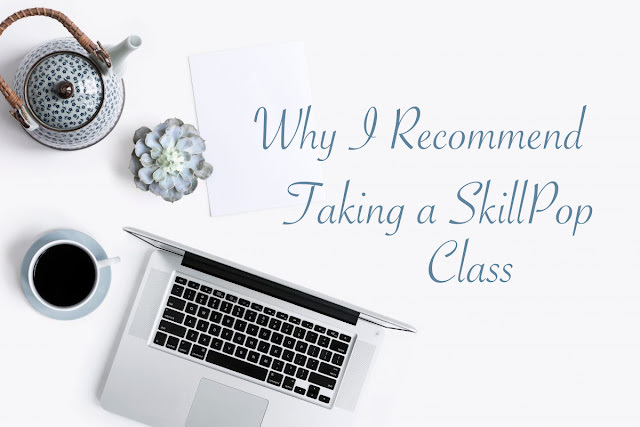 It's so interesting to learn from experts in certain fields, and it is a great way to learn a new skill! Our class was a brush lettering basics class taught by Tabathia of The Adorned Fox. She has a huge Instagram following and she does beautiful work. It was great to hear her story of how she got to where she is. 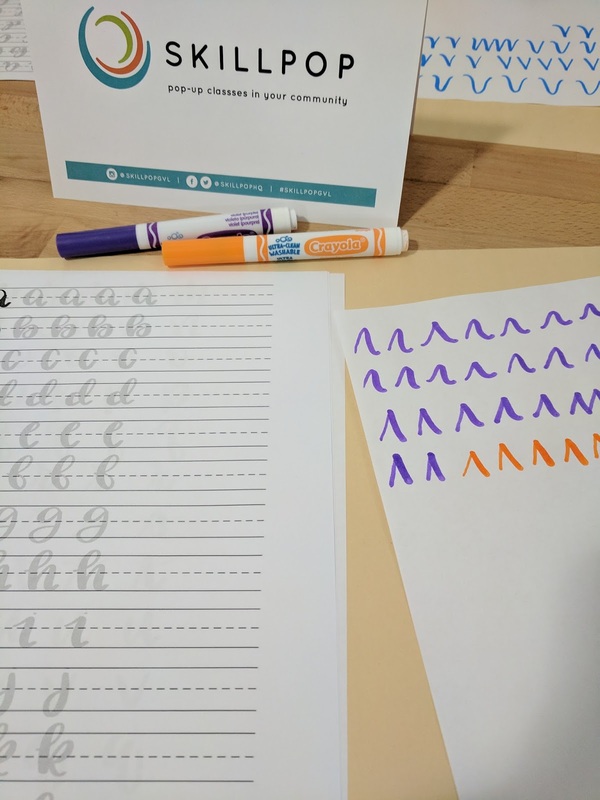 We started with practicing basic strokes with Crayola markers. We were provided with alphabet practice sheets, and we took the time to go through those. She also taught us about different styles and brands of markers that she recommends which was really helpful. I've been practicing the skills I learned in the class almost daily, and I highly recommend taking a class through SkillPop. I plan to sign up for another soon! Grab your best gal pals, and find a class in your area. I promise you won't regret it!